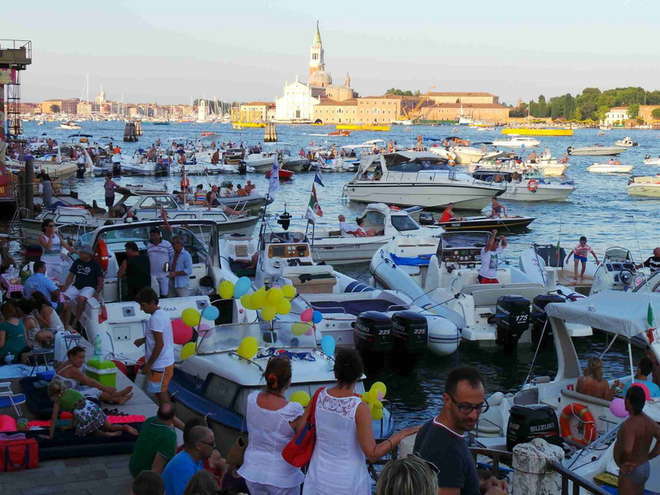 Venice celebrated Redentore, as they have been doing on the 3rd Sunday of July for some 437 years, crowds of locals and a few savy tourist who know a good party when they see one reached 100,000 strong, on shore and some 1,700 boats, gondola, taxi, and around the Bacino San Marco (the basin). This party has some history. 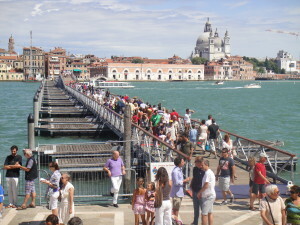 Like many celebrations in Venice, it began as a religious event. 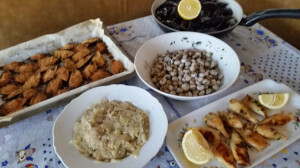 The Serenissima ruled the Adriatric, ferrying merchandise and often at war with the Ottomans, Turks, Genovese, sometimes with the Papal states, sometimes at odds with the Pope. Goods were placed in quarantine for 40 days upon arrival. The diagnosis of the plague required a 21 day quarantine for the patient, family, anyone who came in contact with the patient. These were very sophisticated managements of the disease and its spreading, but even so, between 1575 and 1577, it is estimated that up to 50,000 people died from the disease roughly 25-30% of the population. 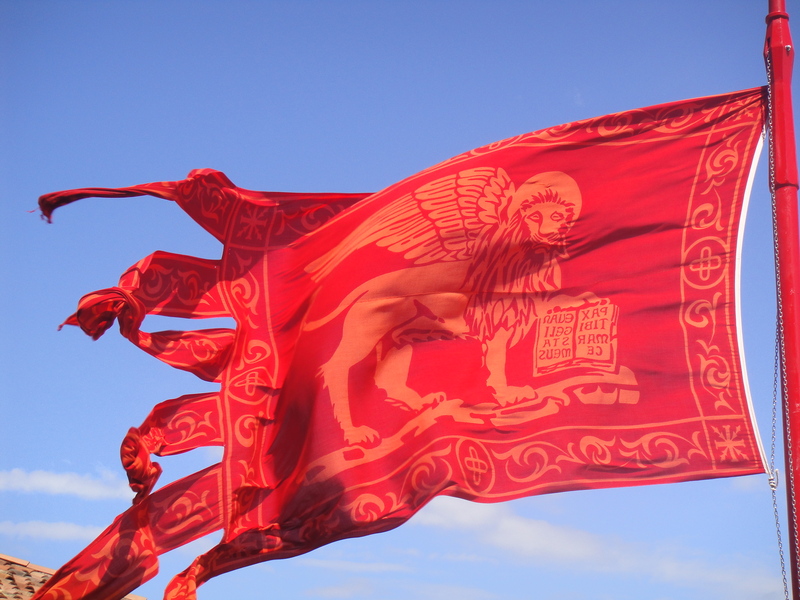 These two years of terror for the Most Serene Republic and its citizens, were believed to have divine origins, as a punishment for the people. The government, at a loss as to how to end the death, voted to have Doge Alvise Mocenigo commit to build a temple in exchange for the “healing” of Venice from the attack of the plague. And so on 4 September 1576 the Doge made a solemn vow. He, sadly, died of the plague himself in 1577. 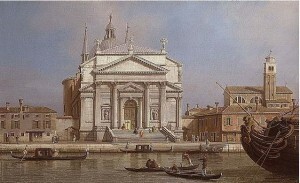 The new Doge, Sebastiano Venier kept the pledge and commissioned Andrea Palladio to design the building. 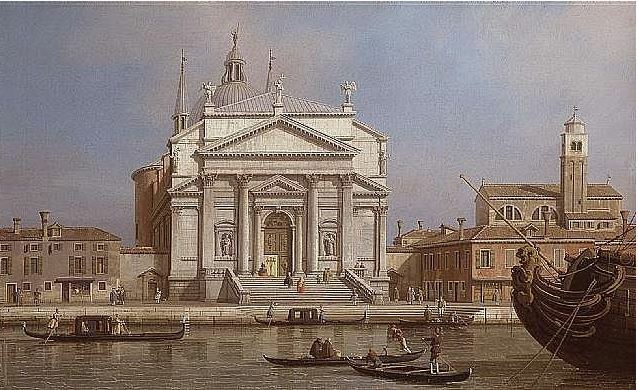 The church, known as Il Redentore, was finally consecrated in 1592, well after even Palladio’s death. 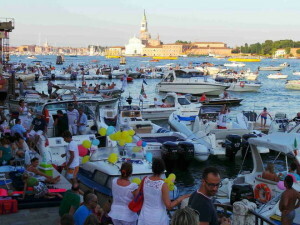 It has become the best party of Venice. 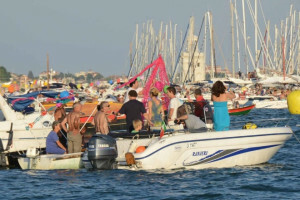 Friends gather on boats of every size, mega yachts arrive, often rented out. After some confusion of “laws” of carriage, even the transport boats returned this year. They make ideal party boats. They come with a pilot (driver) and enough space for 10-15 of your favorite people along with traditional Venetian cuisine: cichetti: sarde in saor (sardines and onions in vinegar); the gamberi in saor (shrimp); ‘Baccalà mantecato’ (reconstituted dried salted cod; and gallons of Prosecco. Thanks to our friends in Venice for many of these pictures which were taking from points around the lagoon to give a different perspective. 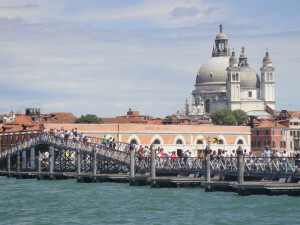 Some were taken from taxis, gondolas and the many boats. 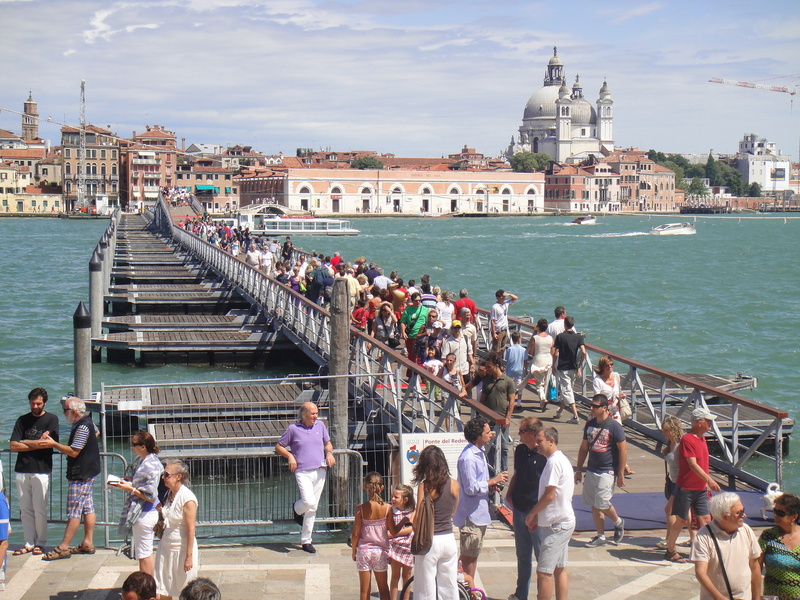 ← Once More – There are No Cars Allowed in Venice!